Voice your opinion! 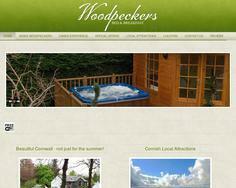 Review Woodpeckers Bed & Breakfast Callington now. Is Woodpeckers Bed & Breakfast Callington your company? Welcome to Woodpeckers Guesthouse, an award winning warm and friendly home set in a beautiful conservation village near Bodmin Moor in Cornwall.